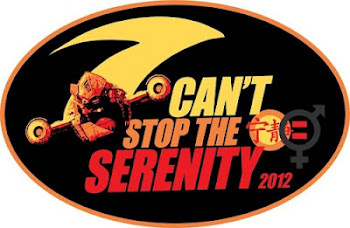 The 7th annual Can’t Stop the Serenity Marathon Screening is returning to the HR Mcmillan Space Center in Vancouver on Saturday June 9th. It will be a six and a half hour celebration of all things Whedon, with screenings of Dr. Horrible, Trivia contests, silent auctions and of course a screening the Firefly movie, Serenity. Tickets are $16 each and proceeds go to Equality Now.